The new motorcycle transport payment ‘Yego Moto Tap and Pay’ technology was inaugurated on this Friday January 26, 2018 in Kigali by Rwanda Utility and Regulatory Authority (RURA). The ceremony which gathered between MTN and Yego Innovision Limited was inaugurated by Dr. Patrick Nyirishema, Director General of RURA. “This inauguration is a big milestone, we are extremely happy with Yego Moto innovation and it is in line with the country’s vision to leverage ICT to make life easier for the citizens; and moving from cash to cashless. It also shows the value of the motorcycle transport business,” said Nyirishema. “Rwanda as a country, we are committed and happy of that commitment to leverage cashless system. 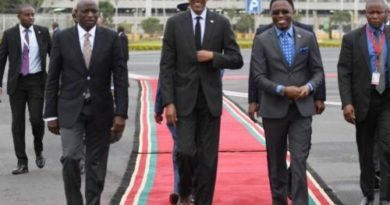 The initiative is supported by RURA, the National Bank of Rwanda(BNR), Rwanda National police (RNP), and the Ministry of Infrastructure (MININFRA),” he added. RURA-Director General Patrick Nyirishema inaugurating the Tap and pay Yego Moto on Friday.(Courtesy). 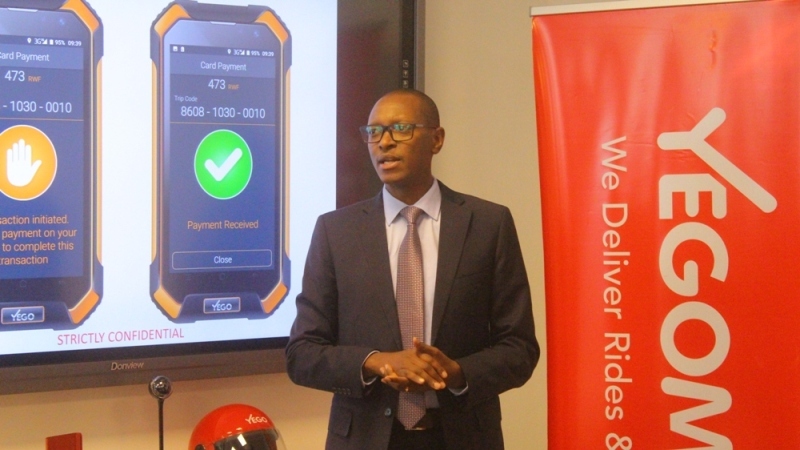 According to yego moto Chief Executive Officer and managing director Mr Karanvir Singh, 15,000 motor taxis operating in Kigali will soon be equipped with Yego Moto meters to strengthen the cashless economy and to tackle the problem of changes which was another issue between passengers and motorcycle drivers. “We are delighted to partner with MTN to bring this innovative payment option to passengers of moto taxis. From today passengers will be able to pay with their MTN mobile wallets using MTN’s ‘Tap and pay’ or Yego Moto Ride-Tap-Pay NFC tags. This will soon be able to support payments from the mobile operators as well as Bank debit cards. It will give a tremendous boost to Rwanda’s effort to go cashless,” said Singh. By the end of 2018, this service will be extended to all moto taxis across Rwanda. The yego moto meter automatically calculates the fare for the trip based on the distance travelled by the passenger. Singh showing Nyirishema how the system operates. It will enable the 1.3 million active mobile money users to pay for moto fares with MTN Tap and Pay or Yego Moto Ride-Tap-Pay NFC tags. For passengers who do not have an MTN Mobile Money Tag, Yego Moto drivers will provide them with a Ride-Tap-Pay NFC card for Rwf200. A passenger can register the NFC tag by tapping the tag on the back of the yego moto meter. For security, One Trip Pay (OTP) notification will be sent to the passenger’s phone which once entered will allow her/him to start making payments instantly. The entire registration process takes more or less than 30 seconds and no extra charges shall be incurred as the passenger will only pay the fare which is displayed on the yego moto meter. The system will also allow people to pay for friends and other people from countryside without being together using mobile money payment. They just need to send you the trip ID given by yego moto meter and how much money has to be paid for the trip via call, SMS, or a WhatsApp photo and then you can pay for their trip. “The normal USSD *182# procedure takes 6 steps, which is rather cumbersome,” Singh explained. 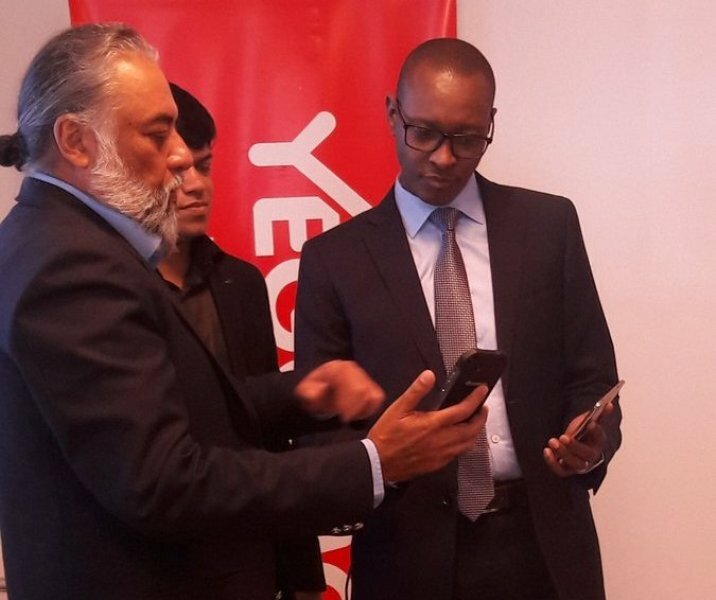 “But with tap and pay it is much easier, you simply tap the NFC tag on your phone and the yego moto system takes care of the rest. You only need to enter the pin number to confirm the transaction,” he added. 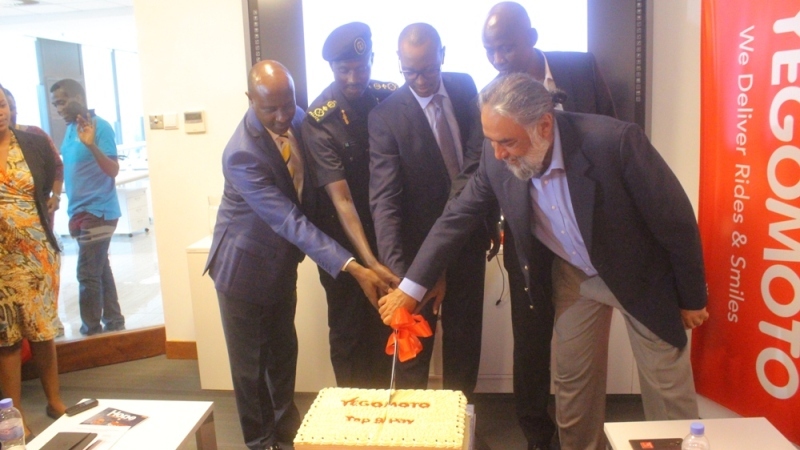 Officials cutting the cake at the Yego moto Tap and Pay inaugural ceremony. (Courtesy). Singh further noted that the system will save money and time while the meter reads for example Rwf425 and charges Rwf500 for cashless payments. He said this is quite easier than the e-payment that exactly charges the Rwf425. He said that a passenger will be able to save up to Rwf99 per a ride. The tap and pay technology is under the new regulations of RURA giving mandate of smart transportation where it is expected that no one will be paying cash by September 2018. 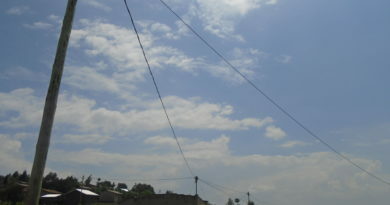 “In june, we want to conclude in Kigali city. 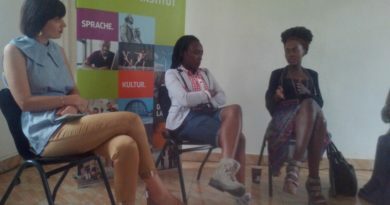 I want to tell people that we are going into the future driven by technology to make life easy,” Nyirishema noted.